Today I looked down at a photograph on my computer, of my step-grandparents in Norway taken on the 17th May many years ago. This is the national day of independence from Denmark. Everyone dresses up in suits and national dress, their best clothes. It's an amazing display of solidarity and nationalism I wish we had in this country. It's a day of unity and purpose. Even the teenagers aren't embarrassed to participate. They lived in a very small, protected world, unlike mine, knowing nothing of Science Fiction or modern music. Some would say ignorant. But they were happy in their little world. And they loved their children and grandchildren. They took us in as their own, into a sort of cosy bubble around everyone. They were stalwart sentinels of love and patience. Weekly rituals. Annual rituals. The years rolled away until their bodies and minds faded and we lost them, those two shining people of all that is good. They knew hardship as a young couple during the war. They knew death and suffering. Is that what enabled them to create a sense of gratitude and joy towards life? All I know is I can still hear their voices and feel their arms around me. Pre-teens, Tweenies and Teens - whatever happened to kids? Puberty can sidle up to your child and then suddenly, despite all the chats and pre-planning, it can just explode in your face. Take the example of hapless dads trying to deal with menstruating daughters. The embarrassment is absolutely hideous for both. Even after all the emotion has died down a bit there is the recognition that when it's happening, the emotion can be overwhelming and confusing. Be prepared, especially with girls. Have a kit for her school bag with pads, underwear etc that she will need if it suddenly happens at school. It may be that your prepared daughter will be there to help a friend who wasn't prepared. One way to reduce anxiety and embarrassment is to have a phrase your daughter can use when she needs 'supplies' so that her dad knows this is a female problem which she is too embarrassed to deal with and needs his help, such as purchasing pads when she's run out. The phrase 'Woman Stuff' works! ie: "This is woman stuff, Dad." With boys the issues are slightly different, but equally embarrassing. The parent of the same gender is the go-to person. Mums, please don't try and be best mates with your son. It's weird. It doesn't work, no matter how wonderful he is. Dads, please don't try and be girlie with your daughter, no matter how sensitive you are. It's weird. It's not the same as a mum or aunty. Allow someone else to step in. Someone of the same gender. And yes, I am a traditionalist and do not apologise for it. After a particularly embarrassing or emotional outburst make sure you are there to discuss your child's feelings. DO NOT ACCEPT the slammed door in your face. Keep the communication open. If slamming doors has become normal in your house, MAKE IT ABNORMAL. Teaching our kids to feel the anger but not take it out on others is a crucial part of parenting. Kids will often throw the 'privacy' thing in your face. Likewise, this is not an acceptable way to behave. When something affects others, it must be talked about and dealt with. It's funny, but kids will push you away because they are embarrassed, but as soon as you are there for them and they tell you what's wrong, the floodgates open. Anxiety is like fire; it's a living, breathing element. It flows and ebbs, it rears up, it subsides, it burns those trying to help it, it often feels our of control. And it can be utterly devastating. But just like fire, it's also manageable. The important thing is to break things down to the smallest of possible steps and inch forward. Allow the adrenaline to subside a little, the palpitations to slow down, the heat to to dissipate. The feelings in your body are only temporary. They will go away. Shake your hands beside you, let them go loose. Look around - tell someone what is happening. It can be a friend at school, a teacher, a counsellor, an office lady. Whomever you feel safe to talk to. 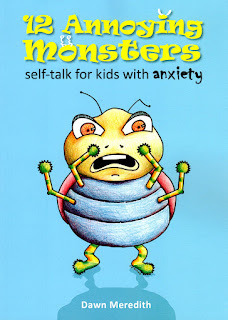 In my book, 12 Annoying Monsters - Self Talk for Kids with Anxiety I provide lots of resources to help your child manage this, even lists of words to use when trying to describe feelings, self assessment to figure out what is causing the most stress in their life, what trigger thoughts bring on feelings of anxiety etc. The 12 monsters represent unhelpful thoughts which intrude on our minds and replay, most unhelpfully throughout the day, making us feel alone and unable to stop the effect they have on mood. Such as: "Everything must be perfect!" and "Nobody loves me" and "Bad stuff always happens to me." This book was written for my clients, kids with quirky academic and social needs. It's now available worldwide for kids who struggle to understand what is happening to them, especially when they are experiencing an anxiety attack or can't sleep because of endless intrusive thoughts. It's a talking point for parents and their children, it can be read alone or discussed. Many parents say they wish they'd had access to a book like this when they were young. Parent of Asperger's or Autistic children find it particularly helpful, especially the social skills sections. Be prepared! Start talking to your child about these changes in their life today! Build that trust and open communication, with love, patience and firm boundaries. What is happening to our kids? 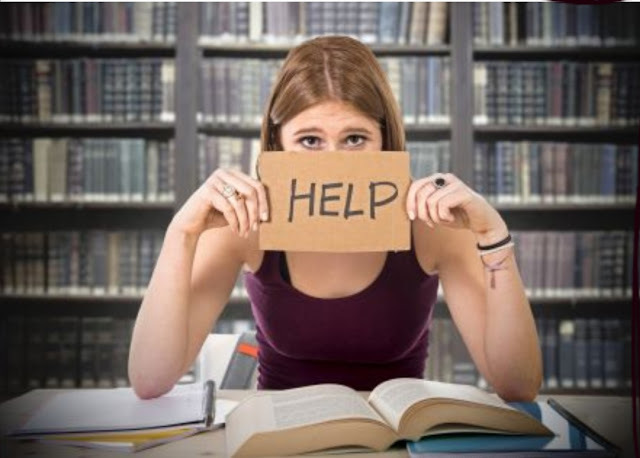 What we are seeing in the media and particularly on the news at university campuses is a rise in mental and emotional disorders among our kids and young adults. We all want our children to grow up safe and happy, don't we? But what if the way we are parenting is making them the opposite? In unpicking this tangle of an issue I want to focus on the influences on a child's life, how a child's brain is affected by their activities, what is making kids and young adults so afraid and the characteristics we need to develop in our kids. My personal opinion is formed by my formal education as a Special Ed and High School Teacher and Counselor and from working with at-risk kids for almost three decades. It's not something I just came up with a minute ago, it's a problem I have observed for a long time. Thirty years means the kids I taught when I first graduated are now parents. What sort of parenting are they providing? What examples did these young parents have? The children of these parents are now finishing high school and starting university. How can kids from loving families feel such despair? What I've noticed is that more children are presenting with emotional despair, PTSD, suicidal tendencies and uncontrolled anxiety. In the last ten years as a teacher I was shocked at the number of quietly despairing children who had already contemplated how they would kill themselves. And these were kids of ordinary people, loving parents. Children feel less able to cope with basic elements of life. They feel powerless and overwhelmed and therefore are too reliant upon adults instead of figuring things out for themselves. Where is the resilience? There's a prevalence of 'getting in touch with your feelings' and expressing them openly that probably came from a sensible idea but has led, in reality, to a preoccupation with one's own feelings to the expense of the feelings of others. I've also noticed a rise in anger issues and a blaming culture. None of these things enable children to develop healthy social habits or give them a positive sense of themselves and their abilities. What is the relationship between the rise in anxiety and depression and this anger and intolerance? These habits begin at home when children are young. It's just too easy for parents to give in and let children sit there, unmoving, for hours. And this lack of interaction is having a huge impact, both mentally and physically. Which way would fit better? How far can I lean without losing my balance? Can my arms support my weight? If I pedal harder will I make it up the hill? Does he/she need help getting up? How far can I throw this? 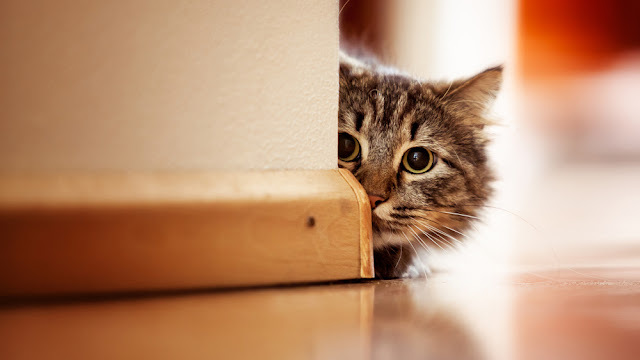 How can I make sure he/she catches it? How can we cooperate so we both get what we want? Daniel Goleman, in his ground breaking book, Emotional Intelligence, says: "...how crucial it is for social competence to notice, interpret, and respond to emotional and interpersonal cues." This you cannot learn from chatting online and using emojis! In fact, emojis were created because people were misinterpreting each other online, due to the virtual communication, by its very nature depriving users of the vital body and facial cues of others which make up 70% of human interaction. I support the idea of protest against injustice, of course I do. But what I am noticing now is the aggressive intolerance of young adults to anything that they don't agree with. The anger and hatred is so powerful! And misguided. Guest speakers have had to be escorted safely off campus by police. Students have tried to sue other students for simply using campus resources they wanted segregated for a particular group. Ironically, in the name of 'tolerance' more rifts are appearing, more delineations, groups and identities separate from the rest. Being 'special and different' has become an obsession. Being angry at someone has become the norm. Saying whatever you like without allowing others the same right has become acceptable. I've witnessed outrageous, infantile public behaviour that left me shaking my head in disbelief. The expectation seems to be that everyone must think the same, that no one is allowed to discuss or debate or present their ideas rationally, calmly and intelligently. I hear statements like: "You can't say that!" and "That's offensive!" and my absolute favourite: "You can't say that!" I've seen 'protests' used as a form of suppression of free speech and the free flow of ideas. It's a new form of fascism, by people who claim to be fighting fascism! Hilarious really, if it wasn't so dangerous. The sheer audacity of some of the students who elect themselves moral judge of others beggars belief. And unfortunately, the rise of Political Correctness has created and nourished this monster. In their brand new book, The Coddling of the American Mind, moral psychologist Jonathon Haidt and free speech lawyer Greg Lukianoff discuss an interesting paradox that is emerging in American universities; a campus radicalism which fuses fragility with extreme intolerance. This generation has been brought up protected and coddled but has this produced young adults who protect and coddle others? The opposite is true. Their intellectual energy has been misdirected into an inward facing philosophy. Inner rage is surfacing, looking for a target and any target will do. 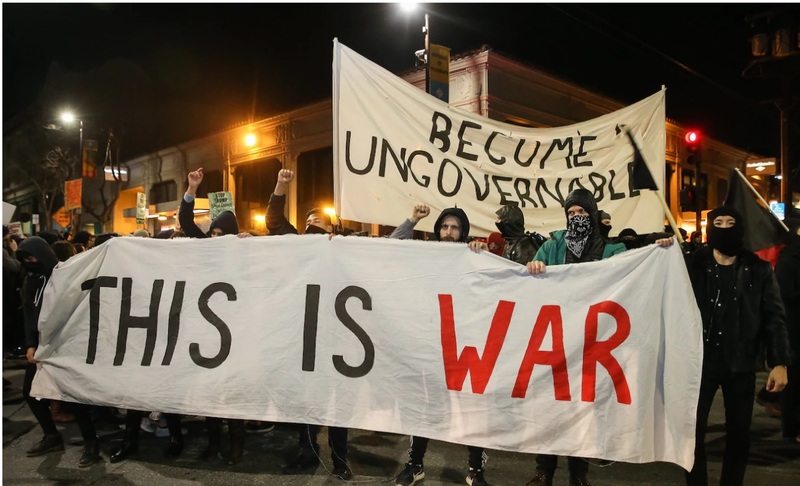 Instead of uniting for a cause that actually produces something positive for society, the focus seems to be upon ripping everything apart. Instead of feeling strong and independent, confident in their own thoughts but OPEN TO OTHERS' OPINIONS we end up with rage, irrational behaviour and, to put it bluntly, self centred, attention seeking behaviour and an overriding fear of practically everything that is becoming ubiquitous. So why are these young adults so angry and afraid? It comes back to parenting, to the messages they received growing up from school, the media and peers. This generation grew up with Facebook, fake news, an obsession with looks that borders on hysteria and a declining sense of decorum, modesty, thoughtfulness of others and a sense of duty to society. This generation has whatever they want, just one click away. They've been sitting there in the corner chatting online, inside the virtual world instead of being out in the real world, coping with reality. Their expectations are therefore warped by this artificial world. Their sense of their place in the broader society is warped. When I ask kids what they want to do when they grow up/leave school quite a few lately have said "Social Justice." I respond with, "That's not an actual job, it's an idea. What do you want to be?" They are fed a diet of fighting against every different opinion, without regard to evidence, proof or debate. I was gobsmacked when my kid came home from school one day spewing hatred about the Prime Minister. When I challenged the assumption and asked for proof she had very little understanding (of course) of BOTH sides of the issue they had apparently 'discussed' at school. She came home with blind vitriol, instead of respect for the office of Prime Minister. The hatred she displayed was quite alarming. It's not a healthy questioning of authority as part of a democratic society. And the effect has perhaps escaped the notice of teachers/adults - if a child can't feel safe in the knowledge that the leader of their country, the adult at the highest level, is competent and respected, what hope do they have of feeling confident about their community, their school, their family? A similar over-the-top reaction was evident the day Donald Trump was declared the new USA President. My child, who lives in Australia mind you, came home visibly distressed, saying Donald Trump was going to kill people and blow up the world. I patiently explained that Trump had won a democratic election, that Americans wanted a change, that there were issues we didn't understand because it's not our country and that it was none of our business. I assured her that no one was going to blow up her world, that she was safe. It begs the question: did she get these ideas from her teacher? Doubtful. The media and other kids? Highly probable. So if the media are deciding how a child feels about themselves and their world, and the media is driven by appealing to our baser instincts, catastrophising for money, of course children are going to be anxious! Have you watched the news lately? Have you seen any music videos lately? Have you seen what kids are saying to each other online lately? What they're watching? It's not uncommon for me to go to a cinema to watch a film rated MA (15 years +) and see young kids in the audience. I was absolutely horrified recently to see the trailer for a new MA rated movie, supposedly a comedy, with clearly adult content and, of all things, Muppets. Yep, you read that correctly. Muppets. So, I'm wondering just which audience is this film made for? Young kids are going to beg to see it, because it's got harmless 'Muppets' they recognise from Sesame Street. Movie ratings are decided by a panel of our peers for very good reasons - to protect children from things they don't yet understand and yet parents ignore them. The moviemakers know that children are going to be attracted to seeing this adult content movie but they make it anyway. So it's up to parents to put on the brakes and make an ethical decision for their child. But are they? We have a situation now where children as young as five have body image issues. Where does that come from? I can't see the average mum looking down their nose and making snide comments about their five year old's weight, can you? But glamourising the 'perfect' body and face is a big part of almost every reality show on TV, in every magazine on display in the newsagent. Parents, I believe, give in too early to the incessant demands for a) a phone and b) unsupervised internet access. Both of these are disastrous. We are not born with built-in filters. This is a skill we learn. Hopefully from our parents. 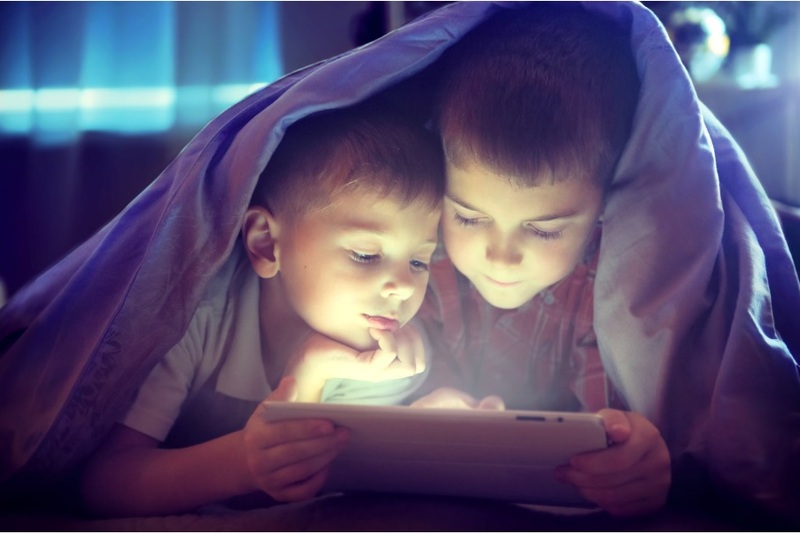 What parents are doing is allowing their kids to make the important decisions, thinking this is giving them responsibility, when it is in fact the parents' responsibility to keep them away from harmful online influences and teach them how to manage their online habits. In any case, why does a child of nine need a phone? They are always under the care and supervision of adults, whether it's at home, at school or on the bus in between. A phone is primarily for communication. But these days it's used as a babysitter. The result is kids become preoccupied with the minutiae, the tiny unimportant aspects of life, such as what people are wearing and saying. This affects how kids see and value themselves. And it's rarely a positive influence. It's well documented that when children are exposed to violent content, it becomes reflected in their behaviour. Of course it does! Otherwise advertisers wouldn't be making gazillions every day. What we watch becomes part of us. So what's this got to do with overprotecting kids? I believe we're not adequately preparing them for responsible adult life. One of the most important aspects of responsible adult life is respect for others, particularly for authority. Sure, it's fine to challenge the status quo when required. Otherwise we wouldn't have the female vote. But at some stage you have to just knuckle down and get on with living your life and mind your own business. Our job as parents isn't easy, but no one else should be doing it for us. Social aptitude. Being able to read social cues, understand the 'feel' of a situation by noticing body language and facial/voice cues of others is extremely important for not just everyday life, but for functioning in the working environment as well as intimate relationships. Personal care. This doesn't just mean showering! It means knowing how to cook proper healthy meals for yourself, keep your living environment clean and tidy, disposing of your rubbish thoughtfully etc. Dressing appropriately! Manners. Being thoughtful of others, showing care and concern, (even if you don't agree with their ideology!) Basic politeness, especially in public spaces! Conflict resolution. Respect means we can agree to disagree. Shake hands and walk away. You don't get to decide what other's think and feel! There are often two sides and it's important to understand both. Intelligent, rational people are interested in understanding views different to their own. It makes for a more well rounded person and more cohesive society. Respectful of authority and public amenities. Everywhere you go, every public amenity you use, whether its a train, a bus station, a road, a toilet, a hospital or a library, has been built from tax dollars paid by working citizens. The people in charge of the enormous task of delivering those services, human though they are, deserve our respect and compliance. Trashing public amenities is kicking tax payers in the face. Have goals for yourself. Immediate and long term planning, working towards goals, having a positive attitude, not waiting for someone to provide what you need. Save up! Have a plan for your life and think about steps to get there. Personal attitude. Have a positive attitude about yourself, be proud of your achievements, continue to grow and learn about life, become the best human being you can be. Be humble when it's appropriate! Be prepared to change your beliefs as more information comes to light. Have an open mind to other ideas. Be positive towards others and their achievements too. Character. Put time, thought and effort into developing your character. What kind of person do you want to be? Whom do you admire? What positive characteristics do you mean to develop in yourself? How will you contribute to society? What positive influence will YOU have on others. The most powerful influence in a child's life is still their parents. And yet many abdicate this responsibility, handing it over to TV shows, movies, and worst of all ADVERTISERS, who get to choose what influences a child's thinking, how they feel about themselves and their world, what news they see, what music they hear, whose opinion they follow. What we see and hear becomes part of our thinking, which then influences our actions. Who we associate with changes us, even as adults. Our kids must develop the skills to differentiate between healthy and unhealthy influence. And that is our job to teach them. We must provide good role models for them to copy, because copy they will. The result will be a young adult who knows who they are, is confident in their abilities, is resilient in the face of hardship, is respectful of others, is polite and well mannered, acts responsibly and intelligently and is on the road to their goals and dreams with hope in their heart and a plan of action. This young adult won't have the time or the heart for slamming others. This young adult will know where to get help if they need it but will be focussed upon striding forward to achieve their goals. The most powerful antidote to anxiety and distress is hope. Hope in oneself. Hope and trust in others. Some level of anxiety is NORMAL. But a lot of kids seem to suffer too much with anxious thoughts. This is when parents sometimes become alarmed and look for help. feels uncomfortable, but not life threatening. When anxiety levels rise and spill over to heightened anxiety that cannot be contained, or the anxiety stops your child from interacting normally, then we're entering into phobias/obsessive thoughts/panic attacks territory. It begins with a thought in our consciousness, which makes us aware of danger. This triggers a reaction in our brain, which causes adrenaline to be released, which raises our heart rate. Blood flows to our limbs getting us ready to run away or fight. The feeling of needing to run is very high. This is a chemical reaction in our body. Perfectly normal. And if the danger goes away or proves to be a false reaction (no actual danger), the chemicals dissipate and our body returns to normal. Normally, these physical changes are lightning fast and uncontrollable. As soon as the thought enters our head, the changes occur. Similarly, as soon as we realise there is no actual danger, the thought triggers a calming down process. It is also normal to have sweaty hands and forehead, a thumping sensation in the chest, tingling in the hands. But, as I mentioned, these feeling pass. How do I know if my child is experiencing too much anxiety? Sometimes extra 'sensitive' children may feel anxious over smaller, trivial things. 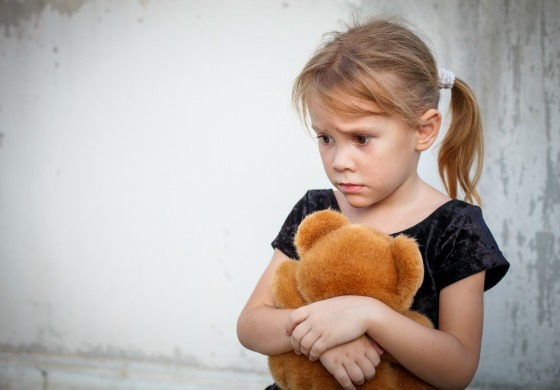 Or children may feel heightened emotions due to trauma they have experienced or are in the middle of experiencing, such as family break-up, death of a loved one, relocation to a totally new environment. Many children with Asperger's Syndrome or Attention Deficit Disorder experience intense anxiety as part of their condition. There are lots of triggers in a child's life that can cause a rise in anxiety symptoms. This usually passes with time and gentle understanding on the part of the adults in their life. These are symptoms of distress. Your child needs help. The first step is to make an appointment with your GP. Do a bit of research and find a GP with counselling experience or one who specialises in children. It's packed with information, fun activities and is designed to get parents and children talking about this very issue. There are many useful tools in this book that parents and children have loved. It has also been used by psychologists and counsellors in their practices. My son loved it. I thought it was absolutely brilliant. It was insightful, compassionate and used kid-friendly language. I truly enjoyed reading it. I only wish I had a book like this when I was a child. Your 'Monsters' book is excellent Dawn. I am giving it to my daughter (Special Needs Teacher) to see if she can utilise it in her work as well. It's the end of first term. How has it been for you? What about your little munchkin? If it's the first term EVER, life has changed radically for both of you. If it's the first term AGAIN, life can still be challenging if your child is prone to having anxious thoughts. School isn't home. The comforts of your own environment just aren't there. And when Mum or Dad isn't there, life can be a bit overwhelming. Teachers are great at dealing with these issues, but they do have so many other kids to attend to. Eventually your child will have to learn his/her own strategies for overcoming these anxious times. It's a skill for life. Firstly, it helps to identify the problem. For this to work your child needs to be able to discuss what happened, how they felt, how their body felt, and what thoughts they had. Mindfulness isn't as hard as you think. It just takes practice. Help your child to become mindful. When you're out together and you see something, or something happens, ask the question - 'What did you think about just then?' For example, if your child reacts badly to an event, such as burst into tears or fire up angry, ask them, what did you think just then? What thought did you have? My kidlet said the other day that she thought "I'm never going to fix this!" And so an anxious moment followed. Also, her reaction was a bit over the top because she had misinterpreted what happened. For younger children this level of self reflection might not be possible. So focus on how the body feels. Or use a toy/puppet show to talk about the situation. Often a child finds these less confronting and easier to handle because it's not directly about them, it's about the puppet. Genius, isn't it? Counsellors and psychologists use this method for tuning in to a child's mental state. So what has this to do with school anxiety? So how do you begin working on mindfulness with your child? 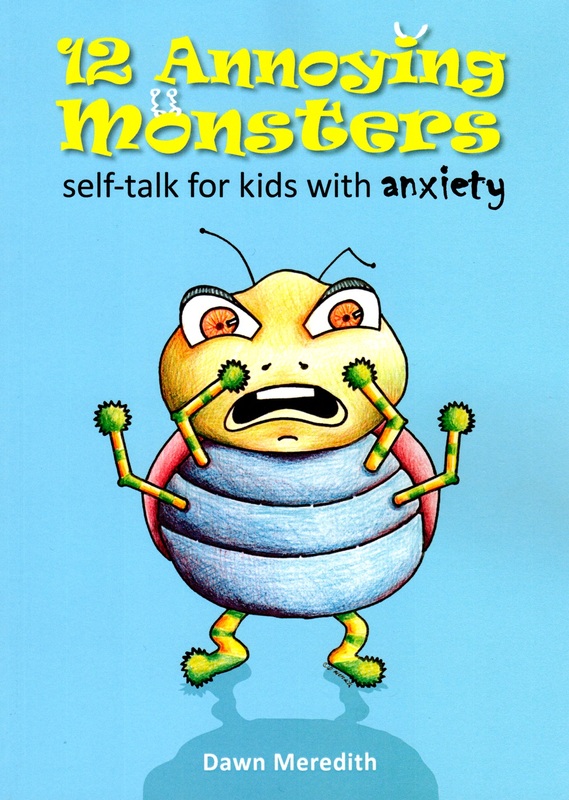 In my book 12 Annoying Monsters - Self Talk for Kids with Anxiety I provide resources to help kids find the right words to describe how they are feeling, to look at what makes them feel anxious. I also explain the physical symptoms of anxiety, and that even though it seems very scary at the time, these symptoms do go away if you focus on breathing evenly and deeply, speak to someone about what is happening and find a distraction. Anxiety and Food - is there a link? 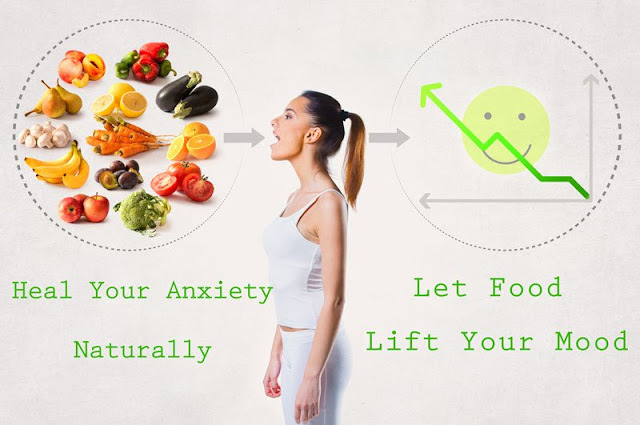 We tend to be attracted to certain types of foods when we are anxious. This may seem to be a natural response in our bodies. In the natural environment where we might be in danger it would be helpful, but in our modern environment where we are mostly inactive and not in immediate threat of danger, these foods just make us fat. Eating to feel better sets up a cycle that may be difficult to break away from. The more we eat of these foods, the more we want and feel we need them. Model good food choices yourself. Your children copy you. Don't give your young child chocolate, sugary drinks, potato crisps, deep fried foods AT ALL while they are developing their 'taste buds'. It takes a child up to 15 goes to become used to a new flavour. Persist! Don't have alternatives in the cupboard. Children have brand new taste buds, naturally sensitive to even the subtlest flavours. There is NO NEED to give them spicy, sugary, salty foods to keep them 'happy'. For a snack, celery sticks, carrot sticks, cheese cubes, apple slices, banana etc to chew on and WATER to drink. I shudder when I see babies and toddlers in prams with a bottle full of Coke or fruit juice. There is absolutely no need for either. You are setting them up for a lifetime of struggle with their weight and nutrition! When we want a treat or feel depressed a pick-me-up may well be in order. But keep it to a SMALL AMOUNT. There is a definite link between gut health and mental health. Probiotics may also help anxiety, as they help gut health, which impacts greatly upon mental health. Choose complex, unprocessed carbs such as whole grains and starchy vegies which take longer to digest. These keep you calmer for longer. Limit alcohol and caffeine. These alter your mood artificially and can easily be overused, worsening the problem. Some foods actually increase dopamine and serotonin levels in the body, helping you feel better! dark chocolate, in small amounts! 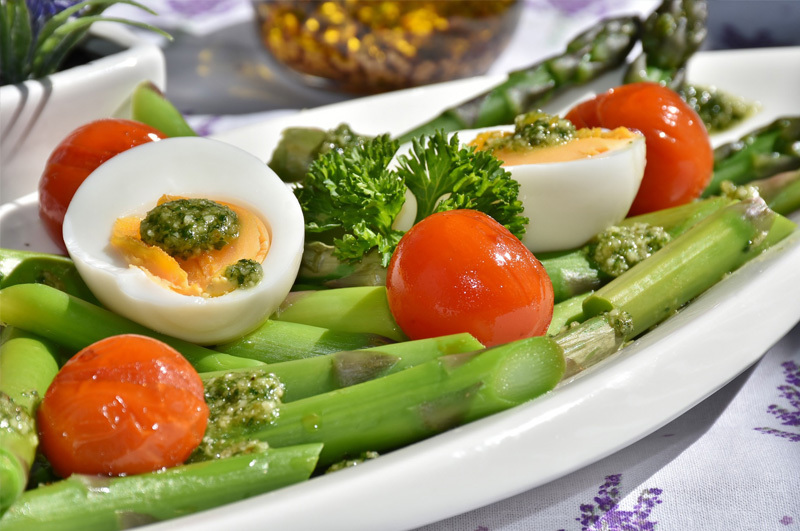 According to this article, avoid proteins such as chicken, cheese and turkey at bedtime. They actually interfere with the body's production of tryptohpan, which winds down your brain for sleep. Carbs, on the other hand, make you sleepy. There are countless websites with recipes you can try, simple things to put in the lunchbox. Its just a case of reaching for the vegetable peeler instead of the packet of chips. Habits! That's what we're trying to form. And healthy ones, at that. 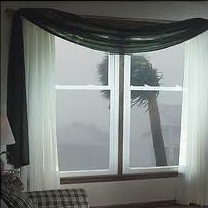 When the thunder booms I think its pretty cool and love to snuggle up, but when I was a child I was afraid of it. One night Dad sat me on the front verandah and explained the different types of lightning, how the sound is made when air pressure cells collide and how wonderful rain is for the Earth. I haven't been afraid of storms since. I have to admit, the screaming sounds and rattling of the windows and roofing iron do my head in. Lots of kids suffer with this same fear. It's perfectly natural to want to feel safe and nature is a powerful force we cannot control. In my work with children over 28 years I have always maintained that knowledge is the key to independence and conquering fears. Knowing how and why things work helps a lot to rationalise what's happening. And so the day after the storm hubby went up into the roof and informed me the house was very solid. A builder came to inspect minor damage due to wear and tear and even he said it was fine. Just needed a bit of silicone on the roof screws. In time we will replace the tin, but this place has been here for 100 hundred years and isn't going anywhere. Our neighbour said the exact same thing about his house, of a similar vintage. I'm sure there are great youtube clips you could watch with your child to explain the phenomena which frighten him/her. Perhaps have special activities for stormy days, such as drawing and colouring in pictures of stormy weather, adding happy, smiling faces or fun, ridiculous things you could do in a storm if you had super powers. Card games, favourite shows or music would also help. Some people swear by essential oils. Is check the weather predictions all the time. this will increase anxiety. If you've taken all necessary precautions and are safe, checking wont change anything and can lead to a phobia of weather.